All hail Augustus Trumpus! All hail the American Putin, whom none can criticize! All hail the Great All Knowing One, who reveals "realities" that are not there and finds "facts" that mere mortals cannot detect. Once again, The Amazing Donald has demonstrated his phantasmagoric power of perception, having a new outcome in November's election that others haven't seen. Trump has been greatly perturbed by the official results, which showed that while he won the electoral college majority, he was not the people's choice. Instead, Hillary Clinton won the popular balloting by a margin of more than two million votes. Growing increasingly furious at this affront to his supernatural sense of self, the master of factual flexibility went on Twitter with an amazing revelation: "I won the popular vote," decreed our incoming tweeter in chief! Wow, how did he turn a two million vote loss into a glorious victory? "I won," he tweeted, "if you deduct the millions of people who voted illegally." Wow again! Millions? You'd think such a massive conspiracy — with millions of illegal voters in line at thousands of precincts — would've been noticed by election officials, GOP poll watchers and the media. How did Trump find this truly incredible fact? It seems he channeled it from the mysterious tweetasphere, specifically from a Texas conspiracy hound who had earlier posted a tweet declaring: "We have verified more than three million votes cast by non-citizens." But this guy turns out to be part of a right-wing fringe group chasing non-existent voter frauds — exactly none of those three million "illegal" votes have been verified. Stunned that Trump would cite his tweet as proof, he asked sheepishly: "Isn't everything on Twitter fake?" Get used to it — fakery is reality for America's next president. Unfortunately for us it is not just fakery that we will have to get used to, because President Trumpus happens to have a real knack for irony as well. Trump, who campaigned as populist champion of the working-class, promising that — by golly — he was going to take on Wall Street and the corporate elites. But the bitter irony for the working class is that they now see what he meant — he's literally "taking on" the moneyed powers by taking them onboard his administration. For example, he's brought in Wall Street billionaires to fill the three top economic policy positions in his cabinet! Then there's Betsy DeVos, the billionaire heiress to the scandal-plagued Amway fortune. Her life's work has been trying to defund and privatize the public schools that working-class and middle-class people count on and to eliminate the working-class and middle-class jobs of teachers and support staff. Her new job with Trump? Secretary of Education, where she'll now use our public money to try killing off our public education system. Add to the list Myron Ebell, the honcho of the Competitive Enterprise Institute — a corporate front group funded by fossil fuel profiteers like Exxon and the Koch brothers — where he pushed relentlessly to gut the Environmental Protection Agency. Where's he now? Heading Trump's EPA transition team. Also, more than half those making up The Donald's Department of Defense transition team have been executives or lobbyists for such military contractors as Boeing corporation. Overall, according to watchdog group Public Citizen, three-fourths of Trump's transition teams — which are organizing, staffing, and shaping his new government — come from CorporateWorld. Not a single working class populist has been allowed a seat at his power table. As America's working stiffs know, if you're not at the table, you're on the menu. And now we know what Augustus Trumpus will be serving. Trump's no populist, he's a full-time corporatist. 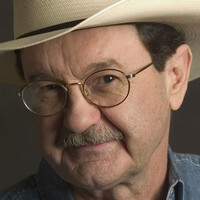 To find out more about Jim Hightower, and read features by other Creators Syndicate writers and cartoonists, visit the Creators Web page at www.creators.com.